like yourself, i was wondering what i would do with the Nokia 770 i picked up cheaply before christmas. beyond the initial unboxing, upgrading the OS to make it kinda think it’s an N800, and playing with it – i was thinking “what next?”. i’m happy to use it as a laptop replacement at the moment for my weekly dublin visits – lugging a compaq laptop brick was bugging me; quick emails, quick browsing via bluetooth to by phone is seamless, and free wifi where it’s available. beyond that, it’s listenting to BBC Radio 4 while pottering in the garden shed! If the iPod Touch had Bluetooth (confirmed usable and not just the rumours around the web) then I think it would be a closer comparison. The other thing is the ability for people to use the software platform. I think a comparison in six months time might be interesting – see which platform has the best add-ons. 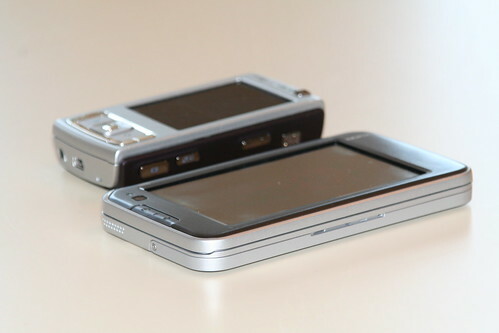 I was looking forward to the N810 UK release, your review makes me plan to revisit the iTouch. The Mobile-Phones-Direct store that Nokia suggests as a supplier says they expect them in a month, not released to stores yet, so I cannot hold one. The map is just an app and can be replaced, but the memory issue is more difficult, unless it is easy to increase. The openness, qwerty kbd and camera is attractive and I do a lot of command line stuff, even on a Mac. A crap UI and a rubbish browser could be a pain. Thank you for a thought provoking review. Agree with the memory issue … I suppose that I have had the N800 for quite a few months, and only got the Touch recently, so have become very familiar with the interface, and you have done it the other way around Tom …. I really like my Nokia Internet Table. I have a 770, so its even worse than the N810 you have! I got it for 130 euro, so I can’t complain that much. 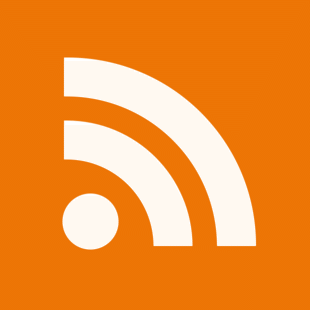 I use it for reading RSS feeds and browsing one or two websites at a time. The form factor is great and it’s really useful for browsing when I’m traveling and haven’t anything more powerful. I also really like the screen on the 770 (800×480), it allows you to browse most websites without having to zoom in and out. One advantage to the Nokia platform is that it is open. I was able to write a Linux C++ app to output the WEP key of nearby eircom routes. It works great and enables me to browse the web from all over Ireland! There are huge issues with my Nokia 770 and I’m guessing with the N810. It needs a faster CPU, more memory, better keyboard (from what people on the Internet are saying), better GPS software and at the price Nokia are charging for the N810, the GPS voice navigation software should be included as part of the package not and additional cost! Have you tried Maemo Mapper? I want one small device I can bring with me that can browse the web, support AJAX apps & flash (YouTube), read RSS feeds, Skype with video chat and maybe even blog and upload photos. I was hoping the N810 would be it, but the more I read the more I believe I will have to wait for the next revision of the Internet tablet or even Nokia’s iPhone competitor. 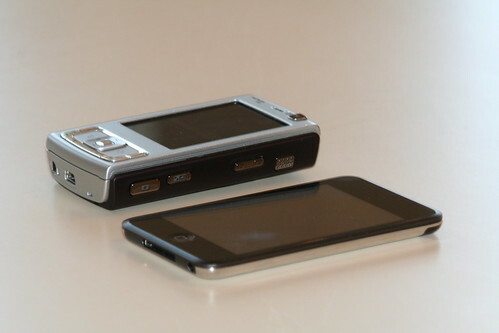 wow..itouch seems very smart and light…N95 looks fat..
Wow this is the first negative review I’ve seen of the N810. I owned the 770 and later the 800, I got rid of both because I could not deal with no keyboard. 1. Bluetooth! Apple will regret not supporting BT but it’s raking in too much cash on ipod branded accessories. If there’s no wi-fi about you can use BT to surf via your phone, while your ipod touch is a paperweight. 2. An open OS. It may take time but programmer’s (and apps) will always favor an open environment. 4. A camera and a GPS. If you dislike the given GPS software, there are others to choose from. I’ll wager it’ll be a year or three before the ipod/iphone can say that. 5. The stock memory isn’t enough? There’s a slot to add more. Where’s the slot on any ipod or itouch? There isn’t one and that’s not an oversight. 6. No “jailbreak” required to install whatever apps you like and no itunes. The key to this device’s charm is the fact that it runs a mobile version of linux, has a terminal app with access to a real command line(think ssh and telnet for administrators) and has the ability to run (with a little hacking) open source apps such as Open Office and Mono for .NET programming. I have yet to play with one, but it sounds like the device has lots of potential, albeit mostly for the unix/linux folk. Best. I hate getting paid in bricks. It probably seemed like a good idea to take it atm but like so many of these kinds of products, you can’t really get a feel for the pros and cons of the device until you try to really use it. I admit though, the case design is getting to be a good indicator. Apple really has shown that complicated functionality can be encased in beauty (and I’m not a big Apple fan, mind you) and I’m beginning to feel that if it’s not elegant, then using it will be uncomfortable as well. There’s definitely a fallout to happen. I have a N800 and frankly the iPhone, even locked and non-jailbroken, beats the pants off the Nokia devices. If the Touch had bluetooth then it’d definitely eat into iPhone sales. The Touch is however, a bloody lovely machine. I just like the phone aspect too. Nakia has a a lot to learn about the GPS usage and GUI. Perhaps now with teh closure of teh German factory, they can decide to buy someone with some GPS-ing expirience. I’m one month in to an eight month road test of the n800, the immediate predecessor of the machine you have. I was looking for a laptop alternative, given that I’d need to keep it on my person for such a long period. Three weeks of China and two of Sydney, and with minor gripes aside, it’s acting as email, blogging and skype platform reasonably well. Note that a foldable keyboard is an essential addition for writing of any duration. The browser can be adapted to deal with ajax websites, though it spat the dummy when it came to editing cells of a Google spreadsheet. I have no experience with other handhelds, but I picked this for its Skype support, and open platform. iPod touch is close to perfect as an internet device, but it’s bigger brother has just killed it. Why? Apple has not included bluetooth order to differentiate the two products. I can live without bluetooth on the Touch, but Apple, include an offline mode for all the apps. When I am out of the WiFi range, I need a RSS reader, an offline browser, it’s got 32GB of flash memory, can we have some of that for offline contents? At the current state, it can not even complete with the N810, it’s not an internet tablet, but only a glorified mp3 player. And Apple has positioned it this way deliberately.